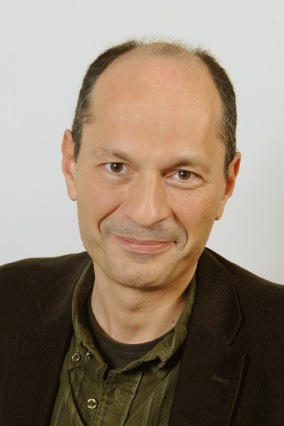 Prof. Marco Durante is the Director of the Biophysics Department, GSI Helmholtzzentrum für Schwerionenforschung, Darmstadt and a full Professor of Physics, Institute of Solid State Physics, Technische Universität Darmstadt. Currently he is the President of the International Association for Radiation Research (2011-2015). GSI operates a unique large-scale accelerator for heavy ions. Researchers from around the world use this facility for experiments that help them make fascinating discoveries in basic research. In addition, they continually develop new and impressive applications. OeWF: How did you come to the GSI and particularly to the heavy ions? Using a spacecraft! I actually started with nuclear physics, and then became more and more interested in biological effects during my PhD at the University of California in Berkeley. My supervisor told me that there was more uncertainty in biology than in physics. 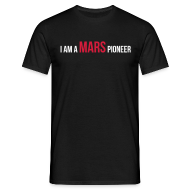 At that time Berkeley was using accelerated heavy ions to treat cancer, and NASA was trying to use their experience to understand the risks during spaceflight. OeWF: What is the aim of your research? We would like to understand the risks associated to the exposure to cosmic rays during spaceflight. 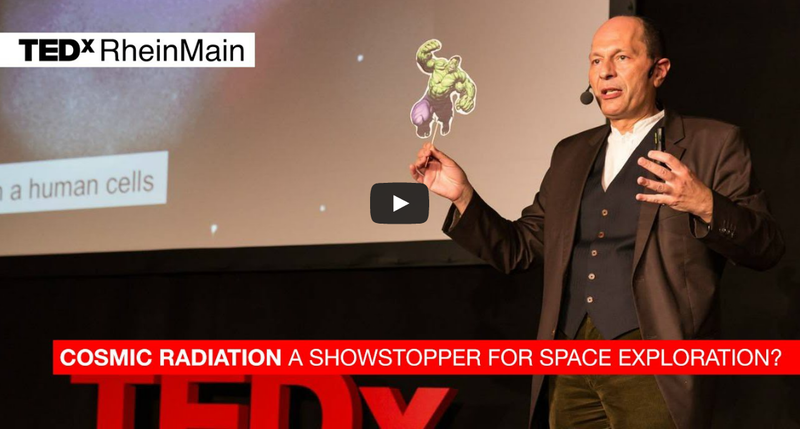 Cosmic radiation is a potential showstopper for human exploration and we want to go to Mars. At the same time, we hope to use these same ions to cure cancer on Earth. OeWF: What is the difference between radiation on earth and in deep space? On Earth we are continuously exposed to alpha, beta, and gamma rays from natural radioactivity, and X-rays for medical imaging. But in space we are exposed to high-energy heavy ions, coming from supernovae. These ions ionize matter very densely, because their charge is high, and are very penetrating, because they have high energy. Shielding is therefore poorly effective, and the biological effects poorly known. OeWF: We have radiation on earth. But why do we not have high-engery heavy ions on Earth (except in special test facilities like nuclear medicine)? The magnetic field is deflecting the ions. As a matter of fact, you have more heavy ions close to the North and Sout Poles, where the magnetic field is thinner. OeWF: Which meaning do the heavy ions have for the medicine? They are a great hope against cancer, perhaps the “magic bullet” against resistent, lethal tumors such as sarcomas. Heavy ions deposit most of their energy at the end of their range in matter, the so-called Bragg peak. X-rays, on the contrary, are gradually attenuated while they pass through matter. Therefore, if we modulate the beam energy so that the tumor is on the Bragg peak, we can destroy the tumor with minimal damage to the surrounding normal tissue. It is like surgery, without knife. GSI pioneered this technique in Europe, and patients are now treated at HIT (Heidelberg) and CNAO (Pavia), and soon also in Marburg. Many more centers using protons and heavy ions are available in Asia and USA. OeWF: Which experimental stations are available to the researchers in Darmstadt at the Biophysics Department? The biophysicists have a linear accelerator and a ring accelerator at their disposal in Darmstadt. There are cell labs and DNA labs and, moreover, a cytometry and microscopy lab. Experiments can be carried out in a low energy radiotherapy station and on two high energy radiotherapy places. One of it is the medical radiotherapy space in which also the tumour therapy developed by GSI with heavy ions was carried out. A X-ray tube and a microprobe belong to other arrangements. OeWF: How many employees work at GSI? Almost 1000 at GSI, and almost 100 in the Biophysics Department, including the students – they do most of the real work! OeWF: Is there one open house/”Tag der offenen Tür” with the GSI? At the moment one open house day is not planned. Nevertheless, everybody can register for a free tour of the GSI research facility. More information at gsi.de/besucher .